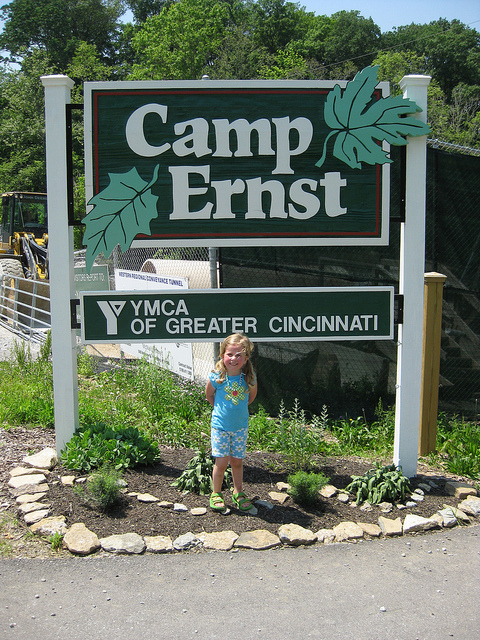 When I was a kid, every August I went to band camp for a couple of weeks. I wanted to take a guitar with me to pass the time away, but did not want to take anything valuable or fragile. So off I went to Wurlitzer Music at 7th and Race in Cincinnati and asked if they had any inexpensive guitars. The salesman showed me some low priced, but nice acoustic guitars. For 20 bucks I walked out with an instrument very similar to an old Stella parlor guitar. The top was birch, the back and sides made of “who knows what”, cheap open tuners, a piece of wood for a saddle and a stamped metal tailpiece. It had a steel reinforced neck. No truss rod, but was a steel rod in the neck. A sticker on the back proclaimed Steel Reinforced Neck. This was common on Harmony and Kay guitars and others built by Chicago Music Instrument Company. I still have that guitar and I am amazed at the price similar instruments command on eBay. This brings me to acoustic travel guitars made for the modern market. I guess you could call them “beaters”, however some are very nice instruments. 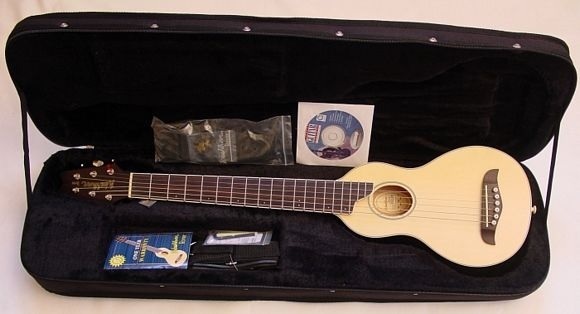 A few months ago, I reviewed electric travel guitars and much like those instruments, many acoustic models are designed to fit into an airline overhead bin. \With the acoustic travel guitars you can you sit around the campfire and strum Kumbayah or you can practice in your hotel room, I have seen folks perform with them and some of them even plug into an amplifier. One of my favourites is Martin’s little LXM model. Although it is made of high-pressure-laminate the tone and feel are not at all bad. Don’t expect the LXM to sound or play like an HD-28, but the LXM is not going to set you back four-grand. In fact you can purchase it for less than a tenth of that price. The LXM and others in the series are constructed to be travel guitars or small guitars for youngsters to learn how to play guitar. The action is excellent (much better than the old Harmony Patrician with a bowed neck that I learned on). The scale length is 23” and a 16” radius. The neck is made of some material called Rust Stratabond. Many of the newer mid-priced Martin guitars come with a Stratabond neck. Stratabond is a process offered by many wood working companies. Panels of wood or wood products, many times of differing colours and materials, are sealed and glued together under high pressure. These can be used as wall panelling and laminated flooring. One of the more prominent uses of Stratabond is in the manufacturing of rifle stocks. Chris Martin has endeavoured to come up with new materials that will not diminish the supply of natural woods. He and his team chose Stratabond as a neck material for the X series of guitars. I believe that Rust is the colour of some of the laminated wood used. The effect is different and does not alter the guitars playability. 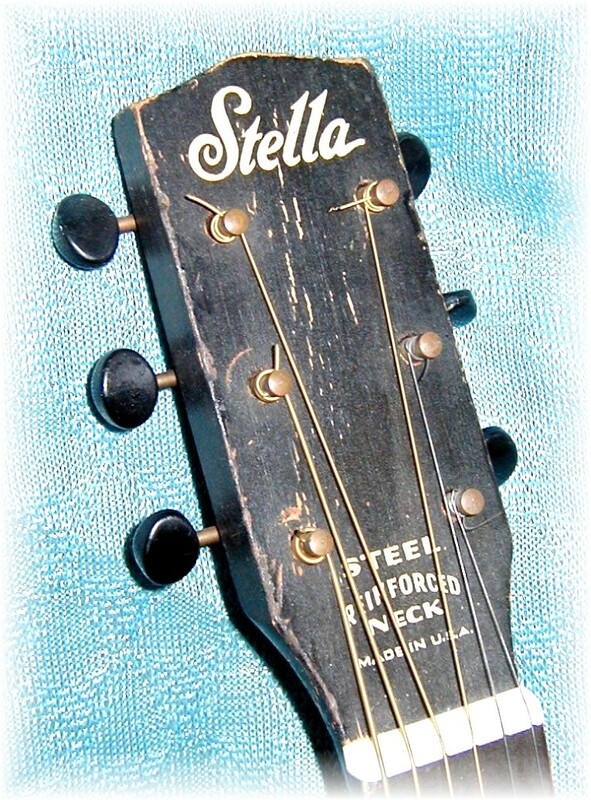 In fact the Stratabond neck is likely stronger than a guitar neck made of a single block of hardwood. This little guitar comes with modified X bracing. The fretboard has 20 frets in all, 14 are clear of the body. The width at the nut is 1-11/16th” and at the 12th fret it tapers out to 2-1/16th”. The bridge material is made of Richlite, which is a product made by a manufacturer of the same name. This product consists of eco-friendly paper-based fiber composites used for a variety of building and industrial needs. The saddle is made of white Tusq, an industry standard now that rivals bone, and the nut is made of Corian (yet another building material.) There is no head-cap on the headstock, which is fitted with chrome tuning machines with small buttons. This instrument comes with a gig bag. For those of you that insist on solid wood being used on your guitar, Martin manufacturers the Backpacker. There can be no doubt that solid wood is used in construction, because this guitar smells like it just came out of a wood mill. The top is solid spruce. The back and sides are made of “solid tonewood” and the neck is made of “solid hardwood” according to Martin literature. The guitar has a unique tapered shape. This instrument was inspired by Chris Martin’s chance meeting with a fellow named Bob McNally, who designed the Strumstick. The Strumstick is a 3 stringed instrument played like a guitar, but the string and fretting is similar to a fretted dulcimer. Unlike a dulcimer, the Strumstick has a long neck that stretches beyond the body. McNally suggested that Martin consider using his design and making a guitar. Subsequently Martin has sold millions of Backpackers. The Backpacker has a scale of 24” and uses Richlite as a fingerboard material topped with 15 nickel frets with are all clear of the body. The guitar comes with a hand rubbed satin finish. The tuners are chrome buttons. This guitar comes with a padded gig bag. Martin also makes a classical Backpacker. The statistics are very similar, except the neck is a little wider. It also comes with a gig back. As the bridge is similar to the steel string Backpacker, Martin suggests using ball-end nylon strings. Washburn has been making it’s travel guitar for many years. They call it The Rover. It comes in a package complete with a case, instructional CD ROM, strap and 3 picks. This guitar has a 24” scale, solid spruce top, laminated mahogany body and neck. The finger board is made of rosewood. This guitar, stored in the hard-shell case, is small enough to fit into an overhead luggage storage compartment. 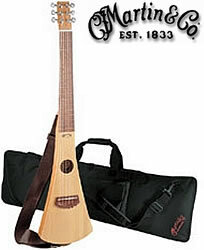 I ran across a company called Applecreek that makes and sells acoustic travel guitars. Their shape is unusual and their price is reasonable. Applecreek Guitars come with a solid or laminated spruce top, depending on the model. The back and sides are laminate with mahogany stain. The tuning gears are enclosed. The instrument measures 33” and has a 25” scale with 23 nickel frets. The neck size at the nut is 1-5/8th inches. The body width is 7-3/4 inches and 2-1/2 inches deep. All instruments come with a gig bag. Applecreek even offers an acoustic electric model. 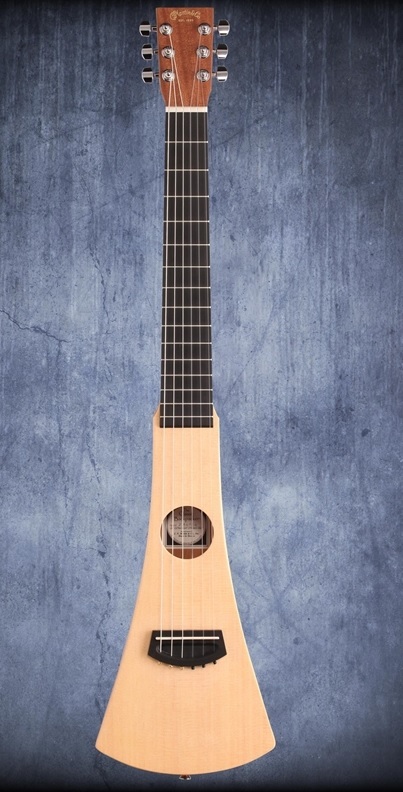 Johnson guitar offers a series of acoustic travel guitars which they have dubbed The Trailblazer. These instruments are produced in differing versions and priced depending upon the materials used. The Trailblazer guitar features a mahogany neck with a rosewood fretboard. The fretboard is topped with 22 nickel silver frets. The body and sides are made of “white wood.” The scale is 24-3/4 inches. This guitar comes with a gig bag. 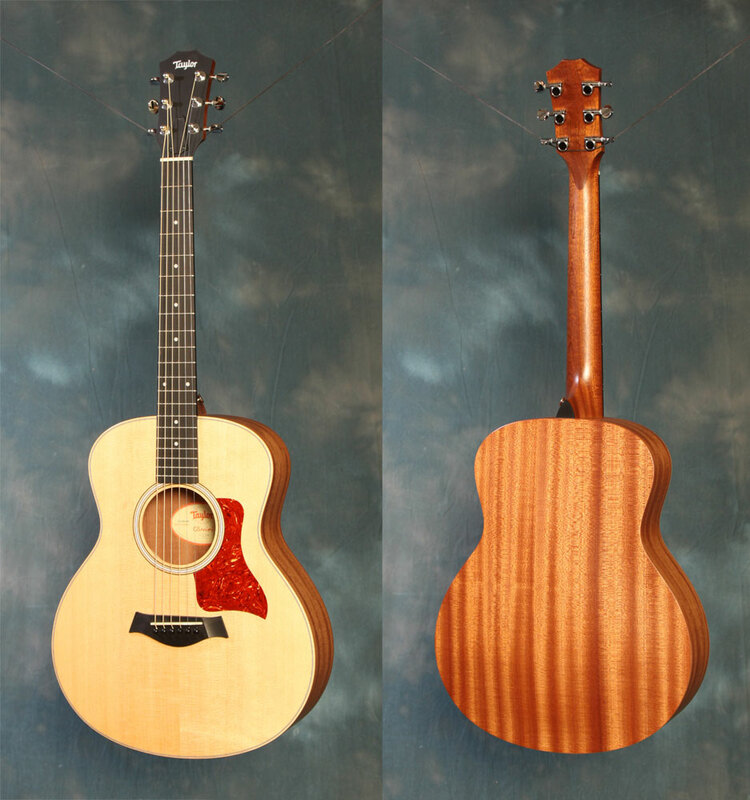 The Trailblazer II features a spruce top and mahogany back and sides. Their website does not mention whether the wood is solid, which I take to mean it is laminated. The neck and body are bound. The fretboard has 22 frets mounted on a rosewood fretboard. The bridge is also made of rosewood. The Trailblazer Deluxe has more of the familiar guitar shape. This instrument does boast a solid spruce top, laminated mahogany back and sides and a 24-3/4 inch scale. The manufacture claims the sound is similar to a full sized guitar, even though this comes in a small package. All Trailblazer guitars come with a gig bag. Johnson guitars are unique as they are the only company I have found that manufactures a 12 string travel guitar. The Trailblazer 12 has a laminated spruce top and laminated mahogany back and sides. The rosewood neck has 18 nickel silver frets. The body and neck join at the 12th fret. Based on that and the shape of the headstock, this guitar has the appearance of an old Martin D18-12. The Luna Guitar Company manufactures low and mid priced guitars that are known for their henna-like designs, laser-etched tops and unusual sound holes. I have not run across a Luna that I believe has a great acoustic sound, but I do admire their artwork. Luna has launched travel sized versions of all of its acoustic guitars. They call this their Safari Series. These are ¾ sized instruments. Most are made of laminated woods and all have most interesting designs. Ibanez manufactures the DT100E Daytripper Travel Acoustic Guitar and the manufacturer promises a big sound in a small package. This instrument has a traditional dreadnaught shape and features a mahogany neck. The body is made of laminate material. Ibanez touts its Ivorex II nut as being stronger that bone. The body is 16" and the scale is 22.5". 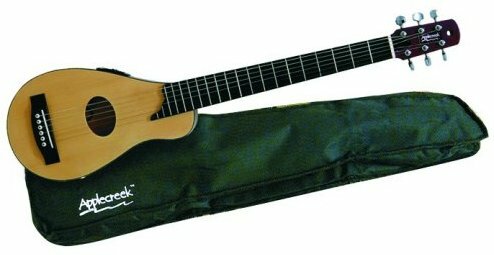 Many of their budget acoustic instruments appear to be of low end quality, however Rondo does offer a travel acoustic guitar at a great price. $99 US. Their SX Trav 1 Traveling guitar is a short scale acoustic instrument that comes with a solid spruce top, mahogany (laminate) back and sides and a mahogany neck with an adjustable truss rod. The fretboard and bridge are made of rosewood. The scale is short at 22.8 inches. The guitar comes with a Graphtec Nubone saddle and nut and a free gig bag is included. 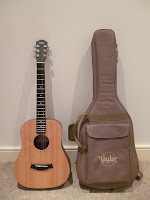 Taylor guitar offers 3 models that are great for travel. We all should be familiar with the Baby Taylor. The Baby is a ¾ sized guitar that comes with a solid Sitka spruce top. The back and sides are made of laminated sapele wood. They are crafted using Taylor’s bolt-on neck process. Some users may complain that 2 wood screws are visible from the fret board. However this do not effect the guitars playability. There is no neck heel on the Baby Taylor. The back of the Baby is slightly bowed. This is reminiscent of some Guilds and Framus guitars that did not use back bracing. 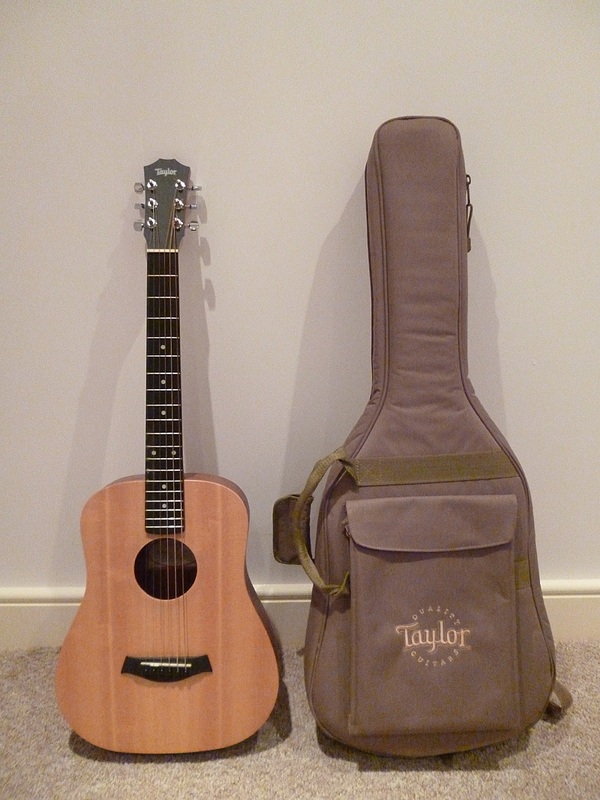 Taylor also produces the Baby Taylor with a tropical Mahogany top. The guitar comes with its own padded gig bag. Taylor also manufactures the Big Baby. This is a 15/16 scale dreadnought guitar with a solid Sitka spruce top and laminate sapele back and sides. It has a surprisingly excellent sound. Like its little brother, the features are very similar including the heelless neck. It sells for around $450 US and comes with a gig bag. I would be remiss if I did not mention Taylor guitar manufactures a Taylor Swift Baby Taylor. This ¾ sized instrument is similar in all aspects to the Baby Taylor, but features the word Love three times around the sound hole with a delicate vine motif. Her signature and the word Fearless, the title of her album, appear above the bridge. 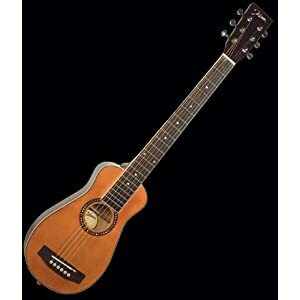 Taylor also offers a Mini Acoustic Guitar called the GS model. This guitar is a scaled down version of Taylors Grand Symphony body. It has a 23-1/2 inch body with a solid Sitka spruce top and laminated sapele back and sides. This guitar is fancier than the Baby Taylors and has a heel on its bolted-on neck. The body is 4-7/16 inches deep and the sound hole has a four inch diameter. The back is not braced, but slightly arched for strength. This guitar comes with a hard gig bag. As an option, Taylor offers an optional pickup system which they call the ES-Go. This adds $99 to the price of the guitar. The installation is easy. All you need is a screwdriver. Taylor also offers their V-Cable, which has a built in volume control. Plug it into your micro-amp and you are The Man! There is more to come on acoustic travel guitars featured in Part 2.